If you have never tried Salsa but would love to experience the excitement and fast, fluid movements, this class is what you have been looking for. If you have had a taste of learning Salsa, wouldn’t you like to learn more? 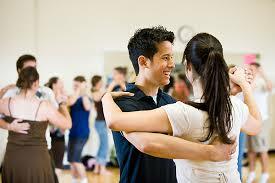 This course is designed for students who are beginning and those who are confident with the Salsa rhythm. You will work on the footwork, turns, patterns, shines as well as proper posture, weight transfer, frame and connection. You will become more comfortable in both leading and following, as well as your timing. Come alone or come with friends; we rotate and you will have the opportunity to dance with everyone including the instructors! Please read: No class 2/20/19 or 3/6/19.